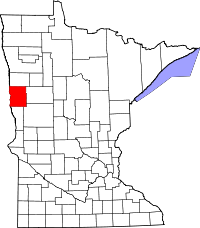 The Clay County Recorder's Office provides a small research at its location that includes a public computer which can be used to view birth indexes, which are recorded from 1935 to the present, for the county, and the entire state of Minnesota. The office charges a $20 per hour research fee, with a minimum charge of $10. Additionally, the county offers their entire death record index, dated from 1872 till 1980, through a Documents Online system. The county marriage record index, dated from 1872 to 1939, is also available via the same system. Both indexes are free to use, and are available from any computer with no special software or account required. Copies of records can be obtained upon proving a tangible interest either through the mail, or by physically going to the Recorder's office, located on 807 11th St. N, in Moorhead, MN.